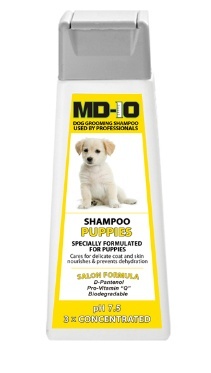 MD10 Puppy Shampoo - Professional grade dog shampoo. Specially formulated for puppies' delicate skin and coat. It helps to keep puppies' coats and skin well hydrated. Suitable for all breeds of puppy.